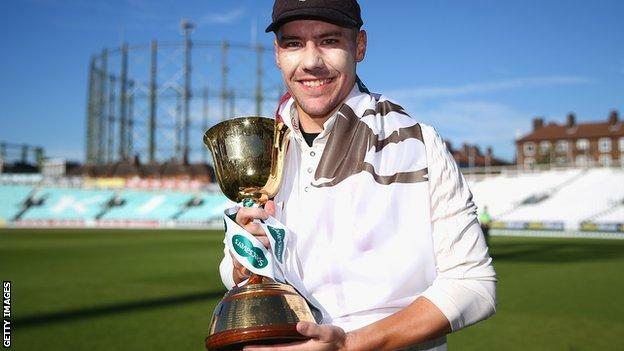 Surrey narrowly missed out on a record-breaking win as Essex clinched a thrilling one-wicket victory over the county champions at The Oval. The hosts’ 410-run first-innings deficit would have been the biggest to have been overturned to win a first-class match. 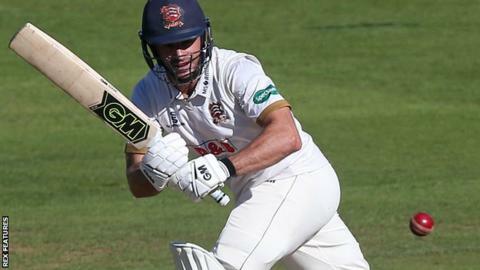 Chasing 132 to win, Essex collapsed to 55-5, 97-7 and then 124-9. But Ryan ten Doeschate inflicted Surrey’s first loss of the season with 53 not out in an amazing climax. The past two county champions – Middlesex in 2016 and Essex in 2017 – went through their respective title-winning seasons unbeaten. However, the likelihood of Surrey matching that achievement were slim once they had been bowled out for just 67 on the first day of their final match of the summer. Their second-innings score of 541, boosted by third-day centuries from Jason Roy and Ollie Pope, was the third-highest team total in Division One this season. However, despite a sterling effort with the ball, they were unable to complete a remarkable turnaround. Amar Virdi and Jade Dernbach both took two wickets apiece after lunch to leave the visitors 55-5, after which Adam Wheater and captain Ten Doeschate looked to be guiding Essex to a nervy victory with a partnership of 42. But South African paceman Morne Morkel (4-28) removed Wheater and Simon Harmer in the same over to leave Essex still 35 adrift. Morkel trapped Jamie Porter lbw and then a mix-up with Ten Doeschate saw Matt Coles run out with eight still needed. Last man Matt Quinn remained vigilant during a ferocious Morkel spell, allowing Ten Doeschate to clip the winning boundary to fine leg off Dernbach. “I didn’t think after 67 (all out) in our first innings we could get it that close, but that’s a real show of our character. “To get it as close as we did it was an unbelievable effort. “That was a great advertisement for county cricket and the County Championship. “It’s a special day for me, we’ve really worked so hard to come so close today. It really shows the quality of this team to show fight at this stage in the season. “The number one goal for me was to win a trophy this season and contribute to that.